Iris House Projects Manager Ashley-William Van Heerden is well known at the Hospice for his amazing showcase of story telling with “Imagination Station”, a project that helps to ensure all of our children have the opportunity to explore literacy at a level they can understand. Additionally, his focus on expanding the borders of literacy and develop also takes the form ofsensory cooking sessions which the children love. Ashley is also right hand to Founder and CEO Sue van der Linde. Leading and assisting with many corporate and international fundraising applications and supporting Sue to ensure that Iris House grows from strength to strength, and raising awareness and support special needs children in the Western Cape. Ashley in his first three months at Iris House secured the first Lotto funding allowing Iris House to purchase a much needed bakkie for collection and delivery of donations. Ashley is a firm favorite with the special needs children Iris House supports and can often be found in the playroom rather than his office. In fact there’s not much Ashley can’t do when he puts his mind to it. Ashley served as a youth advisor for the United Nations Environment Program (UNEP) and is also a trained Disney story teller. Ashley entered the competition with his cousin Chris as his team mate. Homely and hearty Cape Malay-inspired dishes, infused with global flavours, is how the cousins describe their food style. For them, food brings people together, while sharing meals represents love, comfort and unbreakable familial bonds. We are so proud of Ashley and support him 100% . We wish him and Chris well on the show. We are very appreciative that that he somehow managed to balance the demanding filming schedule with his duties at the hospice and has never let a deadline slip. We are hoping that Ashley will have the opportunity to publish a book based on sensory cooking with special needs children, but where ever this journey takes him, we know that Ashely always puts others needs before his own. It’s just who he is. 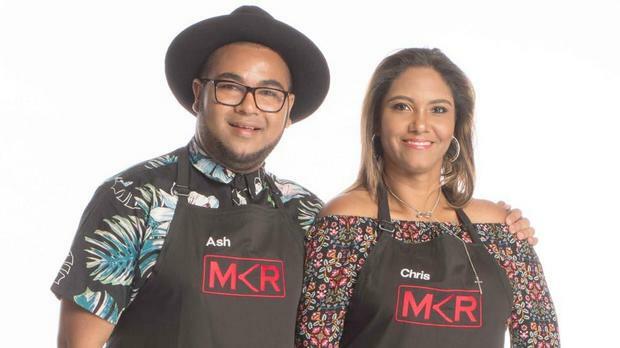 Follow Ashley’s journey tune into #MKRSA on Mnet, channel101 at 6pm each Sunday.